At Google, we spend much of our time working inside a browser. We search, chat, email and collaborate in a browser. And like all of you, in our spare time, we shop, bank, read news and keep in touch with friends - all using a browser. People are spending an increasing amount of time online, and they're doing things never imagined when the web first appeared about 15 years ago. Since we spend so much time online, we began seriously thinking about what kind of browser could exist if you started from scratch and built on the best elements out there. We realized that the web had evolved from mainly simple text pages to rich, interactive applications and that we needed to completely rethink the browser. What we really needed was not just a browser, but also a modern platform for web pages and applications, and that's what we set out to build. So today we're releasing the beta version of a new open source browser: Google Chrome. On the surface, we designed a browser window that is streamlined and simple. To most people, it isn't the browser that matters. It's only a tool to run the important stuff - the pages, sites and applications that make up the web. Like the classic Google homepage, Google Chrome is clean and fast. It gets out of your way and gets you where you want to go. 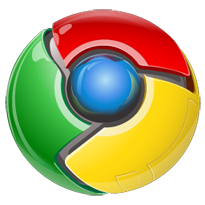 This is just the beginning - Google Chrome is far from done. We've released this beta for Windows to start the broader discussion and hear from you as quickly as possible. We're hard at work building versions for Mac and Linux too, and we'll continue to make it even faster and more robust. We owe a great debt to many open source projects, and we're committed to continuing on their path. We've used components from Apple's WebKit and Mozilla's Firefox, among others - and in that spirit, we are making all of our code open source as well. We hope to collaborate with the entire community to help drive the web forward.